Canon 7D Mk II: Is there a way to adjust exposure compensation when I’m using auto iso in “manual” mode? In other words, I’m not using “full manual,” but rather what might be considered “iso priority.” I want to set my shutter speed, set my aperture, and then have the camera vary the iso based on the amount of compensated exposure I choose. I’ve been digging through the custom settings, and I’m coming up short. I can switch into Av or Tv, adjust exposure compensation, then switch back to manual-with-auto-iso, and the bottom exposure meter will indicate compensation. However, the right side exposure meter (the one we use for manual mode) indicates no exposure compensation. Capturing an image reveals that there’s no compensation being applied (as indicated by the histogram). The easiest way is to assign a Custom Function to the “Set” button. Exposure compensation does not change your resulting exposure result? Have you tried it, or are you just looking at the numbers? 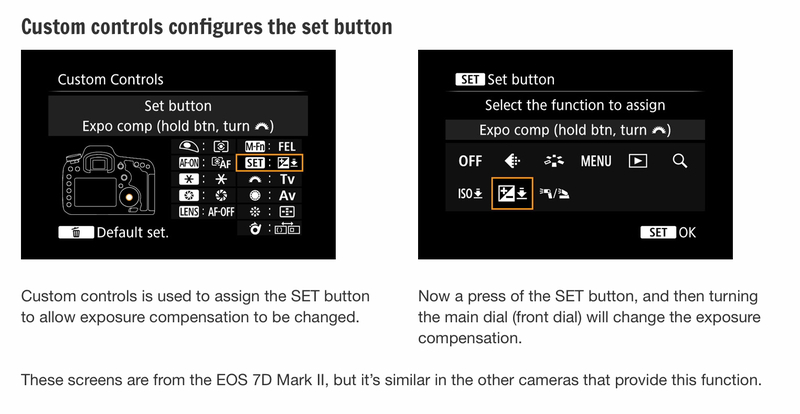 Auto ISO Cannot change your manual setting numbers, but it should change the goal of the Auto ISO, changing ISO, and resulting in a different compensated exposure of the picture result. Assuming the settings in in reach of the ISO. Not the answer you're looking for? 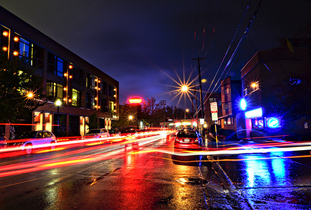 Browse other questions tagged canon manual-mode exposure-compensation auto-iso or ask your own question.